Roving is the thick wool or fiber that yarn spinners use to create the many different types of beautiful yarn that crocheters use. You can buy roving in yarn stores and at fiber festivals. And if you want to, you can crochet with it just the way that it is. Here you'll find tips, information, and links to several roving crochet patterns. Roving is really thick, so it's best used for chunky crochet projects. Projects that you want to be plush are perfect projects for roving crochet. Crochet with roving when you're making warm winter clothing and accessories and cozy items for the home like blankets and pillows. Expression Fiber Arts has a free roving rug crochet pattern made with beautiful merino wool roving. Roving is chunky so you'll want to use large crochet hooks when working with roving. The roving itself will vary greatly in terms of size, so there is a range of hook sizes you can use; sometimes a J or K will work and sometimes you'll want to go as large as an S, for example. Some people, myself included, find that it's difficult to work with these larger, clumsier crochet hooks. In that case, you might want to consider trying finger crochet. Finger crochet is also great with roving because roving tends to be soft and comfy on the hands! Roving doesn't have a specific yarn weight as yarn does, so you're not going to know exactly what you're going to get in terms of gauge. That's why roving is well-suited to projects where gauge doesn't matter so much, including crochet scarves, blankets, and stuffed toys. If the gauge does matter, you can still use roving, but you'll definitely have to do a gauge swatch. Crochet roving doesn't have to be used in the exact thickness that it arrives to you as. You can part it and wind it into balls of thinner roving, which will still make bulky yarn but you'll get more yardage out of it. DudleySpinner gives a good description of splitting roving multiple times down to "pencil-size" thickness. In the aforementioned roving crochet rug pattern by Expression Fiber Arts, the designer mentions that she is crocheting in a spiral, not joining her rounds as she goes and that this is because of the bulkiness of the roving. Note that this generally is only true if you're crocheting single-crochet in the round with your roving. ChemKnits has a video showing how a simple crochet chain of roving looks like a bulky braid. You can make these easily and then use the braids in other projects. The bulkiness of it also means that a single crochet chain of roving actually works as a scarf! 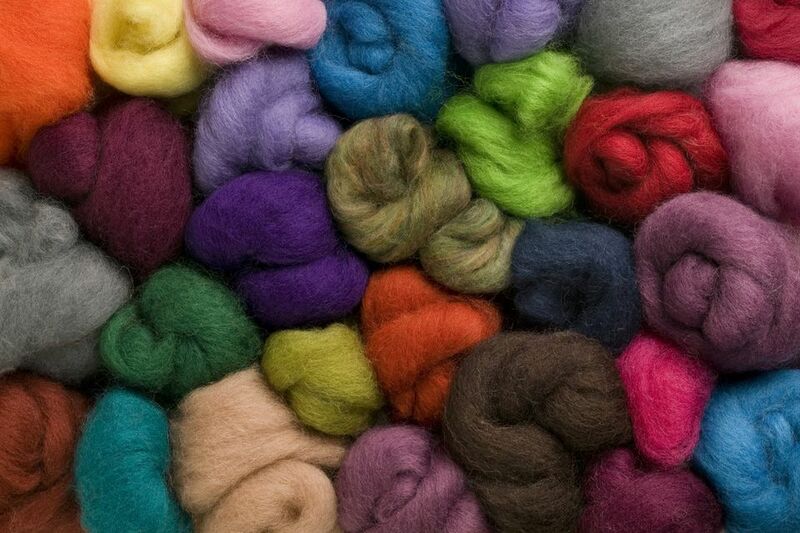 If you want to try your hand at dyeing yarn on your own, using dyes, Kool-aid or natural organic materials like tea, then roving is great for that. It's fun to play with and you get the hands-on experience of what different dyes will do, easily seeing it in the thickness of the roving. Plus it's generally easier to source un-dyed roving than un-dyed yarn. Slow yarn is the idea of doing all of the steps of the yarn process yourself as much as possible. You may not be able to actually keep and shear your own sheep, but getting the roving straight from the farmer and doing dyeing, spinning and crocheting with it on your own is a great example of slow yarn.